If you’re having t-shirts made for your new clothing line, why not go the extra mile and have a custom label printed inside the shirts as well? When purchasing the shirts, there are the scratchy tags stitched into the back of the shirt that say the brand name of the shirt. If you want to completely customize your shirts, we can pad print your custom label with water based ink, directly onto the shirt. We take the garments, remove the label/tag and vuala, you’ve got a COMPLETELY custom shirt, from inside out. 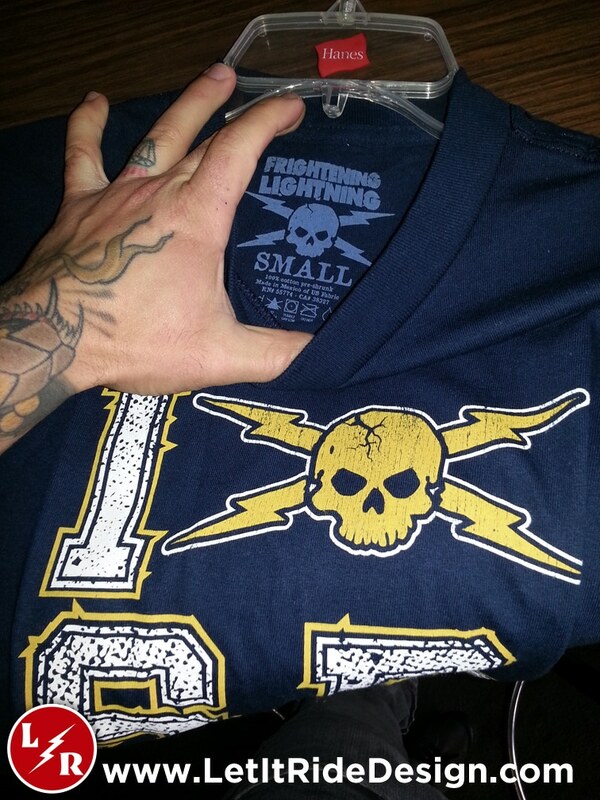 We’ve done these custom labels for a few of our clients and even our own Frightening Lightning shirts. Get in touch with either Aaron, Javier, or Brittany at Let It Ride to see how we can make your project, just that much cooler!